IASA Middle School has begun to introduce new methodologies in teaching. Frontal teaching is on the way out, being replaced by coaching and teamwork, both at the teacher and student levels. New programs are being introduced. This year, three major programs have been introduced: Project Week(s), Upperclassmen Mentoring and Community Service. At IASA (high school), Project Week is the highlight of the school year. IASA-MS has adapted Project Week to meet its students’ needs. At three times spread throughout the school year, IASA-MS students put their regular studies on hold and pour all their energy into Project Weeks. These intensive weeks introduce the students to the structure of advanced research and stimulate their curiosity. The first week is devoted to asking questions, the second researching resources and the third presenting information. 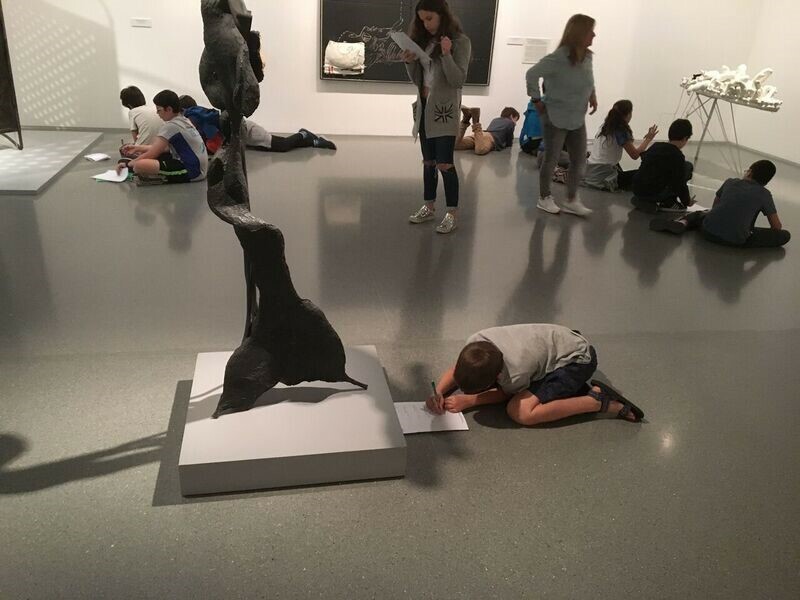 Students take their curiosity beyond the classroom walls, visiting Israel's museums, the National Library, nature sites, laboratories, and arts performances. Academic achievements at the highest level now begin with 7th grade students. Students spent five days in hands-on experiential learning outside the classroom. Their mission: to write down as many questions as they could. Day 1: At the Israel Museum they participated in a workshop on how to develop and formulate questions followed by a guided tour. The students were then allowed to strike out on their own and independently explore the exhibits. Many of them had never been to the museum and were delighted by the richness and variety of the collections. Day 2: They traveled to IASA's (HS) verdant Schusterman Campus where they participated in classes with 10th-12th graders, giving them a taste of the true IASA spirit. The 11th-grade chemistry students led an interactive workshop that explored the complexities of chemistry in a fun and exciting way. IASA music students performed a concert for the middle school participants, playing familiar tunes alongside their own compositions. The seventh graders were inspired to see IASA-HS students as real scientists and performers. It was an uplifting and beautiful way to finish off the day. Day 3: Students explored the nearby Jerusalem Biblical Zoo and began to think about the natural world in whole new ways. The guided tours and in-depth explanations from zoo staff brought to light new questions about animals’ behavior and habitat—and about the interconnectedness of the animal and human worlds. 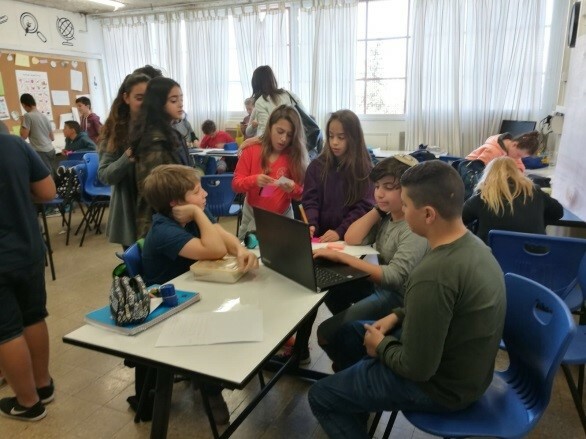 After a workshop on ‘What is a Fruitful Question?’ The middle schoolers formed groups and refined their own research questions to come up with challenging project subjects. They were totally caught up in their work! When faced with challenges, they worked together to reach solutions as a group, never giving up on finding answers. 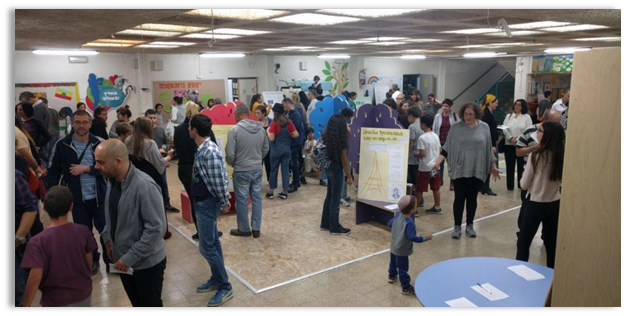 To cap off their fantastic week of learning, the students hosted an exhibition, Project Week: Poster Presentation, at a special event for parents and guests from the community. 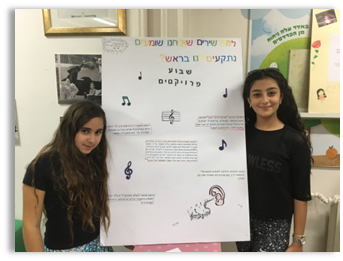 Their posters were colorful and information-packed, but nothing was brighter than the sparkle in their eyes as they talked about what and how they learned. Click on the links to read about more INNOVATIVE PROGRAMS AT IASA-MS: Upperclassmen Mentoring and Community Service. Poster project: “Why did the attitude towards women in folklore and myth change over time? Students utilizing online tools for group research during Project Week.